After a number of months I can finally say that the jacket commission which I have been working on is complete! The commission is one of the most detailed and specific projects which I have ever undertaken, and I'm pleased to say my client was happy with the end result. 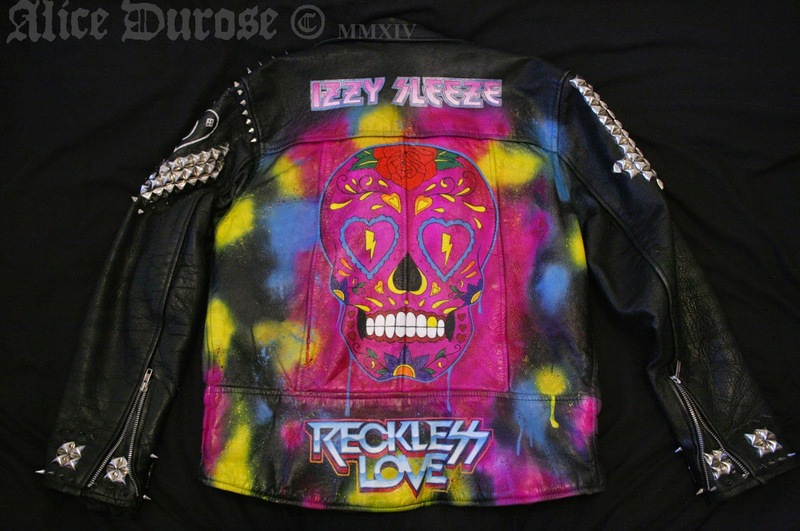 My brief with this work was to create a replica of Olli Herman's jacket (of Finnish Glam Metal band Reckless Love). The client had specific details in mind which they wanted altering slightly, and some additional features such as logos adding. 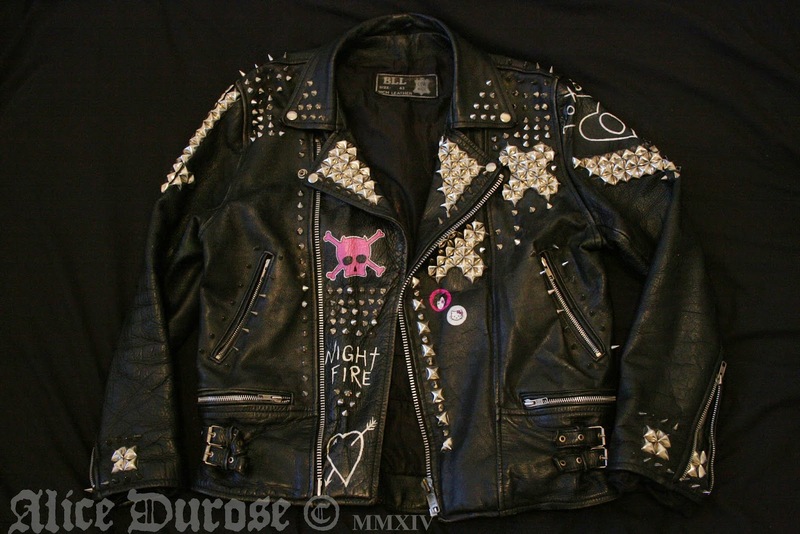 I created the custom piece using a combination of photos of the original jacket, the official band logo and sketches/diagrams indicating stud placement, numbers and configuration as reference material. Creating the back piece involved several layers of air brushing, combined with controlled stippling and splashing. 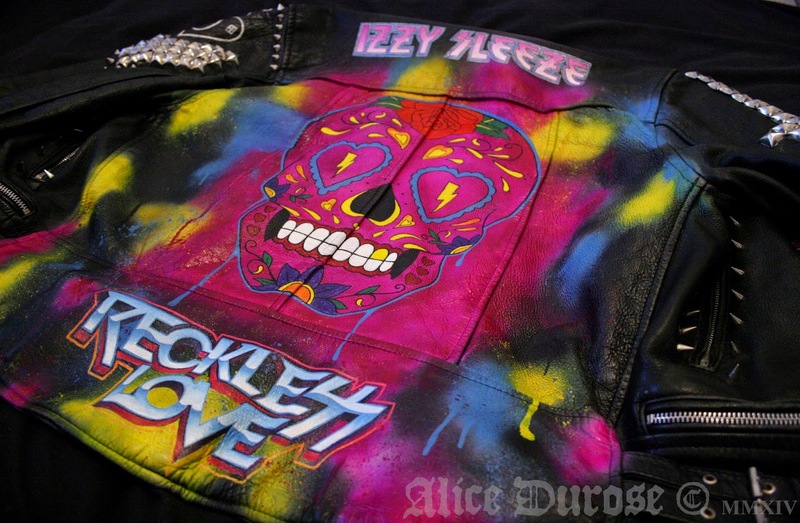 On top of this came hand painted layers of blocked in colours, line work and detailed fine logo work, all painted using a mixture of leather paint and Createx wicked colours. The artwork is sealed with layers of varnish to limit the effects of time on the creation. 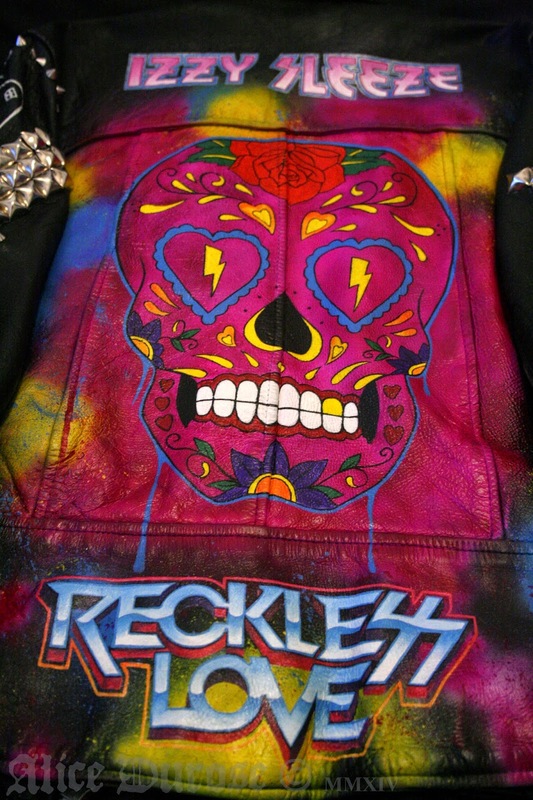 Across the jacket are small additional pieces of paintwork, as well as 438 studs of assorted shapes and sizes, each of which was applied to the jacket by hand. Working to create this jacket replica has been a very rewarding, enjoyable challenge! Many many thanks to my client for giving me the opportunity to work on such a different project! Its been fab!